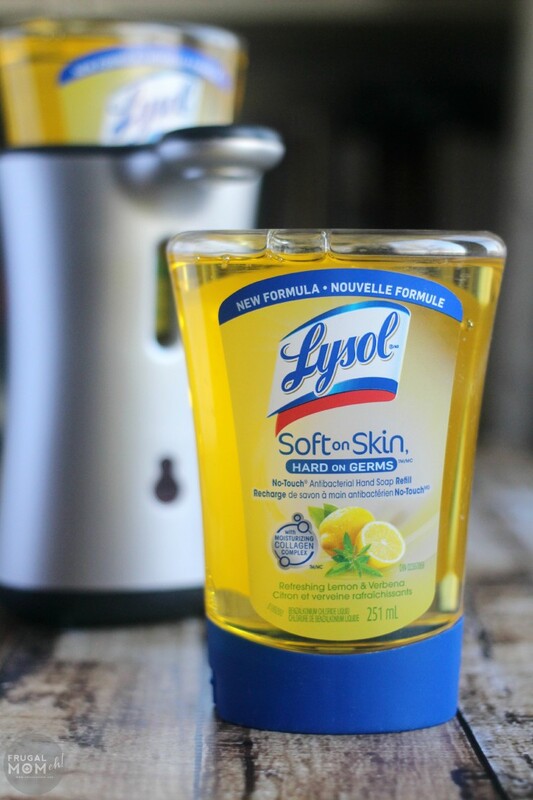 Lysol® No-Touch™ Hand Soap System #SoftOnSkin - Frugal Mom Eh! My 3 year old, Keira, is a very independent little soul. She is constantly telling me “No Mommy, I can do it myself!” She likes to buckle herself into her booster seat at the kitchen table. She likes to dress herself. She likes to put on her own shoes. The number one thing though, that she always has to do by herself is going potty. She’s been fully potty trained for a while now so I am confident she can do it and do it right. She knows to move her stool to the toilet to get up easier. She knows to use only 3 squares of toilet paper and diligently counts them out each time. She knows to flush the toilet. She even knows to pick up her stool and put it in front of the sink so she can wash her hands. This is where we usually have a problem. She can turn on the water just fine and get it to the right temperature. She knows she has to wash her hands, she knows exactly how to rub the soap between her hands, between her fingers and all over the back of her hands. She can’t, however, pump the liquid soap from the dispenser. Which is where one of us usually get called in to save the day. Thanks to our new Lysol® No-Touch™ Hand Soap System though she is able to do it all herself. With a wave of her hand under the dispenser she gets just the right amount of soap. Since its hands free it also helps to reduce the spread of germs, and really encourages her to keep up with the hand washing. It certainly helps that she is convinced the Lysol® No-Touch™ Hand Soap System is magic. The kit we were sent contained the new and improved formula in the Refreshing Lemon & Verbena scent which is so invigorating between the bright citrus fragrance of lemon and rich verbena. The Lysol® No-Touch™ Antibacterial Hand Soap refills come in a variety of other fragrances too including Aloe & Vitamin E, Cucumber & Watermelon, Cranberry, and Cocoa & Brown Sugar. The new formula contains Moisturizing Collagen Complex which makes it soft on your skin but still hard on germs for the best of both worlds! 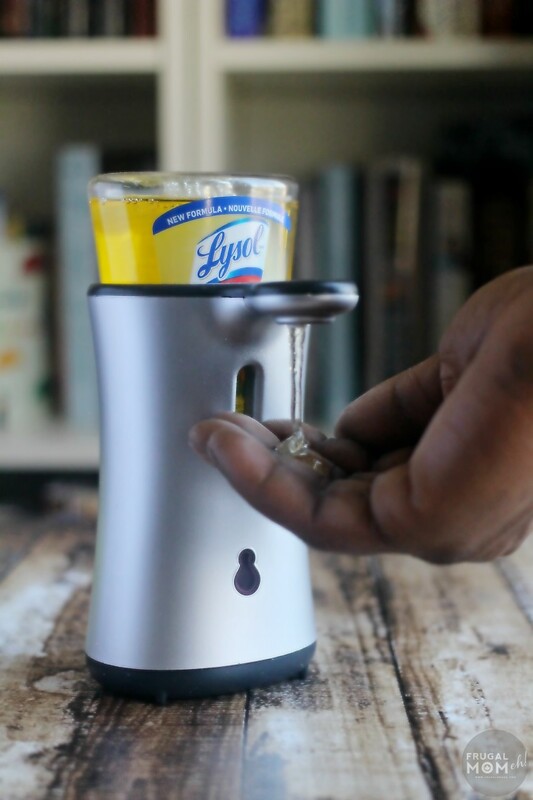 The Lysol® No-Touch™ Antibacterial Hand Soap system is perfect for in the washroom but also great for in the kitchen and eliminating germs while prepping food and before eating. My family relies on it to keep hand washing fun and accessible enough to get all members of our family excited about cleanliness! 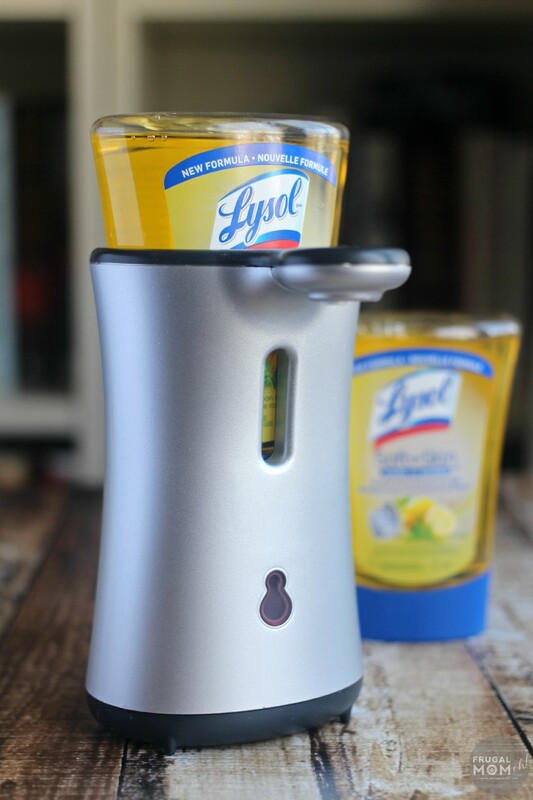 Take advantage of an amazing limited time offer from Lysol® to try the Lysol® No-Touch™ Hand Soap System for free with mail in rebate (kit with gadget and refill, up to $14.99 value)! This would be great for a house full of germaphobes, like mine.